The following is quoted from the post linked above, by Brian Clark. I reposted the points because they are all great points and I know they have worked well for me most of my life. I especially believe in listening to people I don’t agree with. Not an easy thing to do. Some people you don’t agree with just because of who they are. or who you think they are. Listen anyway. You don’t have to spend the day listening, just enough to know you heard them. Listening does not require you to change your mind, just hear what someone else thinks, believes and has experienced. To me, this is the most important and essential trait for any creative person. You’ve got to go well beyond learning everything in your niche and try to simply learn everything. Naturally curious people seem to come up with ideas easier than most, so kick your curiosity up a notch and investigate any topic that interests you. Then, learn about things that don’t interest you—you might be surprised by what you end up enjoying. You’ll also see more connections between things you thought were unrelated. Leonardo da Vinci believed that to truly understand something, you need to look at it from at least three perspectives. Leo did alright for himself, so maybe his advice is solid. The ability to look at something that everyone else is looking at and see it differently is the hallmark of creative thinking, and practice makes perfect. Train yourself to dispense with the commodity of opinion and examine things from multiple perspectives. You’ll be amazed at what you find when you play Devil’s Advocate. Many people think that creativity is something to schedule, like a staff meeting or a luncheon. While setting aside time for “brainstorming” and “thinking outside the box” can be helpful, you’re still perpetuating an illusion. The truth is, there is no box, and you have the ability to be creative at any moment. Allow yourself to recognize your own delusions and social constructs, and start questioning your assumptions at every opportunity. Better yet, reverse your assumptions and see where you end up. One of the great benefits of online business is freedom from the tyranny of geography. And the more we see of the world and different cultures, the more our minds open up and see limitless connections and possibilities. One of the worst things we do to ourselves in terms of creativity is to stay within the realm of the familiar. So make it a point to get out, do new things, and travel to new places. You’ll have to check with your accountant to see if a trip to Prague counts as a business expense, but there’s no doubt it can seriously help your business. Are you a talker or a listener? This is something I’ve really tried to work on, because I learn so much when I shut up and listen. Every person you meet has a perspective that differs from yours, and you can learn amazing things from simply listening. Just like the Medici family brought all sorts of different people together and sparked something phenomenal, you too can create a content renaissance by interacting with as many different people as possible. Don’t hang out with people who reflect your existing beliefs, hang out with people who challenge you. How Honest is your Review? I don’t especially like writing reviews. They are tricky. I don’t like to be negative or critical, it makes me feel petty. But, a review needs honesty – otherwise it isn’t worth much at all. Amazon’s lawyers are willing to go after anyone making money from writing reviews, no matter how small that “business” may be. In earlier lawsuits, Amazon targeted businesses that were selling packages of dozens or even hundreds of fake reviews. Fiverr is a site where people offer to do small jobs for $5 or more (hence the site’s name). Judging by the nature of the accused Fiverr ads, these mini-Internet scams are about as small-time as they come. “Amazon is bringing this action to protect its customers from this misconduct, by stopping defendants and uprooting the ecosystem in which they participate,” the complaint concludes. Write a fake, glowing review for something. Pick something in front of you right now: coffee mug, pen, batteries, skin cream, computer mouse, vitamins, etc. Posted on June 13, 2017 Categories writingTags Ars Technica, coffee, review, writingLeave a comment on How Honest is your Review? 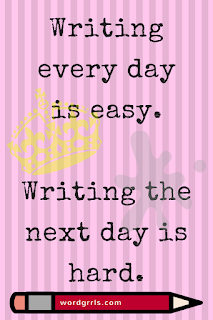 Writing every day is easy. 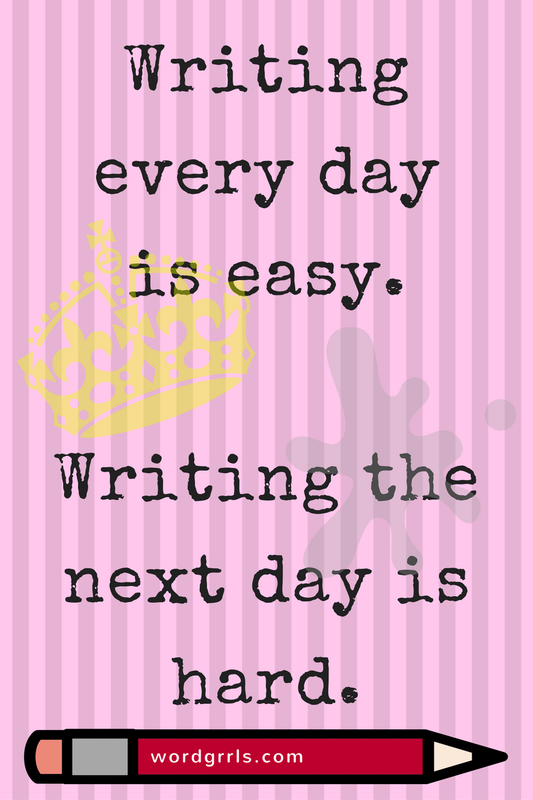 Writing the next day is hard. Goal digger – There’s something I wish I had thought of myself. I found it on an old blog post, on another site. How can you be a better goal digger? We make goals for ourselves and then we either meet them successfully or we don’t. Improve your success rate by actually digging in. Put work, hard work, into getting your goals but – make sure the goal is going to work for you. I don’t mean you should pick something easy or simple and give yourself loads of time. If the goal is too easy you won’t feel you really accomplished something to be happy and proud for yourself. Are you putting in as much effort as if you were digging for gold, or a gold digger?